Driving back from dinner tonight, we had gorgeous setting sunlight. So we decided to swing by the infamous Steamboat Barn to see how the light was playing on the icon. Sure enough, we had 10 minutes at most of this beautiful setting sunlight we call Alpenglow — made famous by the late great Galen Rowell. I think I’ve shot this barn every trip here to Steamboat since about 1996. Love the barn, location and tonight… loved the lighting on it. It’s an American Icon. One look at this barn, and you know it’s Steamboat…. What do you think? Have you seen this barn before? 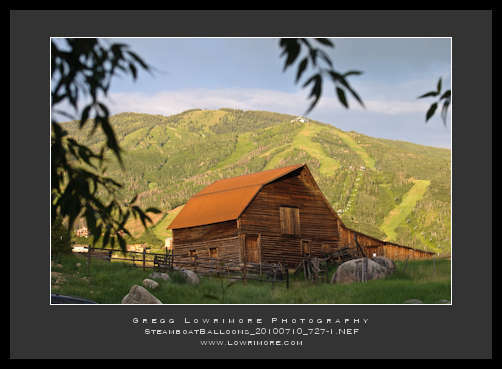 Posted in Landscapes and tagged alpenglow, barn, Steamboat Springs, summer by greggl with 2 comments. Looks like this is going to be a great weekend! 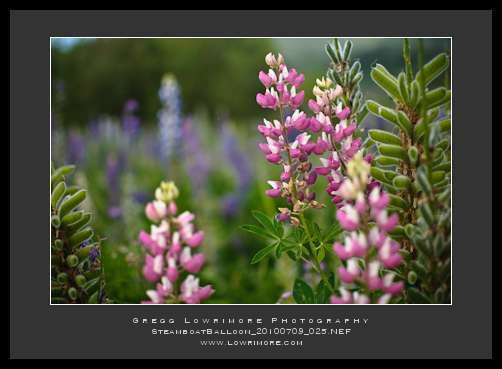 Posted in Fine Art and tagged lupine, pink, Steamboat Springs, wildflowers by greggl with no comments yet. I’ve been meaning to capture some portraits of Sofia while she’s missing her front teeth, but I haven’t been able to get her in to the studio in a timely fashion until now. But now her front teeth are partially grown back! 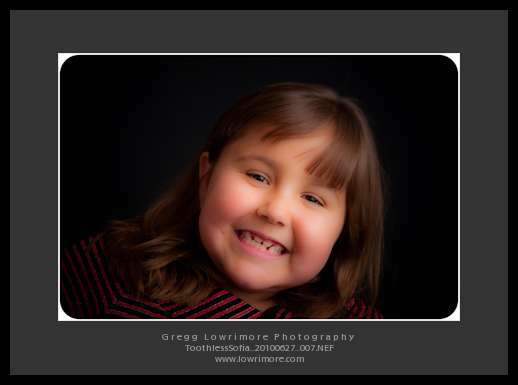 Nevertheless, here are a couple recent portraits of her, one showing her beautiful toothless smile! I love you Sofia! 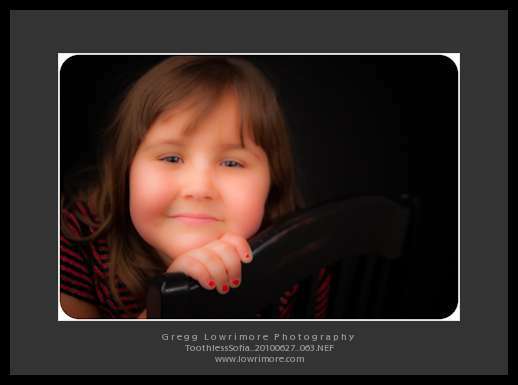 Posted in Portraits and tagged Sofia, studio, toothless by greggl with no comments yet.